Have you ever felt tired and thought about going for a body spa or massage in Chandigarh? Probably you might have. 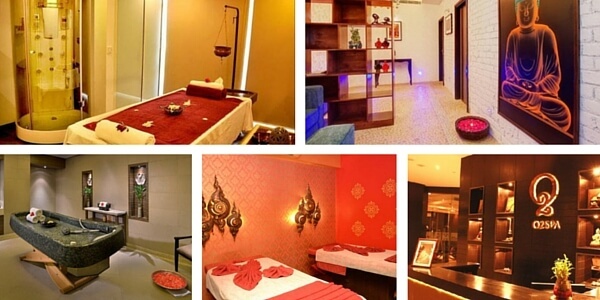 So, if you are in search of the best spa center in Chandigarh where you could go for a head massage, shoulder massage, foot reflexology or complete body massage, then you need to go through this list where we have listed the top 10 spa centers of Chandigarh along with the services they offer and their estimated costs. Chandigarh is quickly emerging as the most modern metro city of India and hence it has attracted some top beauty and wellness brands. The spa culture in Chandigarh has become so famous that not just the hotels, but gyms as well as salons have started to offer special spa services to Chandigarh residents. But if you want to experience luxury spa in Chandigarh, then don’t just settle for a normal one. Here are some best centers offering spa and massage services in Chandigarh that give you full value of the money you spend. We at Chandigarh Metro have created the list of best luxury spa in the city that not just offer you a good value for your money but also provide you with an awesome experience. The list has been created after evaluating Chandigarh based spas on various factors including – infrastructure, appointment booking procedure, services offered, spa prices, customer reviews and more. Here’s the entire list of best spa within Chandigarh. Aura Thai Spa is a well known spa which has its presence in many cities of India including Chandigarh, New Delhi, Hyderabad, Bangalore, Goa, Pune etc. It was founded in year 2006 and has become one of the most famous Thai massage in Chandigarh. Location: SCO 64-65, Ground Floor, Madhya Marg, Sector 8-C, Chandigarh. Full Body Aroma Therapy Massage = Rs. 2400. Full Body Swedish Massage = Rs. 2600. Back & Shoulder Massage = Rs. 2100. Deep Tissue Massage = Rs. 2800. Traditional Thai Dry Massage = Rs. 2100. Foot Reflexology (60 minutes) = 2100. Body Scrub options are also available at Rs. 2450. 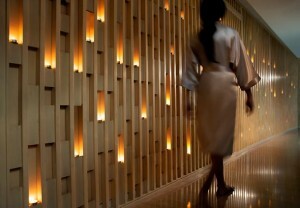 Quan Spa Chandigarh is the official spa of JW Marriott Hotel in Sector 35, Chandigarh. Being a 5-star hotel of the city, JW Marriott offers a wonderful spa experience to Chandigarh residents. Quan Spa in Chandigarh offers a variety of services, treatments and amenities that range from Therapy baths, Ayurvedic treatments, Body scrub, Body wrap, Eye Treatments, Facials, Hair & scalp treatments, Lap pool, Men’s services, Paraffin hand treatments, Plunge pools etc. 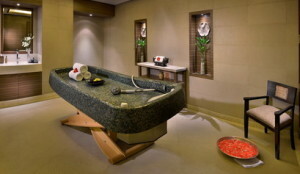 Quan spa Chandigarh has separate Men’s & Women’s Lounges. 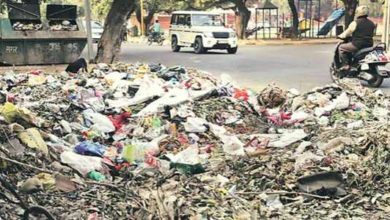 Location: Plot no: 6, Dakshin Marg, Sector 35, Chandigarh. Marine Detox Wrap = Rs. 2700 (60 minutes). Protein Body Nourish Wrap = Rs. 2400 (45 minutes). Exotic cocoa and milk ritual warp = Rs. 2400 (45 minutes). Complete youthful treatment facial = Rs. 4800 (75 minutes). Deep cleansing facial = Rs. 1900 (30 minutes). Indian head massage = Rs. 1500 (30 minutes). Back Massage = Rs. 1500 (30 minutes). 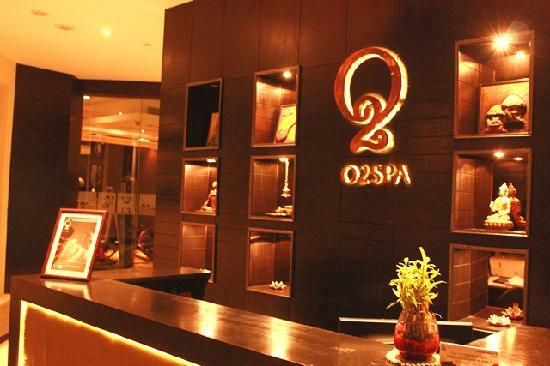 O2 Spa has 2 outlets in Chandigarh – one at Elante Mall and the second at a hotel in Sector 17. Apart from Chandigarh, O2 Spa is also present in other leading Indian cities like Delhi, Mumbai, Hyderabad, Chennai, Bangalore, Kolkata, Pune etc. O2 Spa offers excellent services in Chandigarh and has got good overall reviews. Location 1: Hotel Park Plaza, Sector 17-A. Contact Number O2, Sector 17 = 9247020202. Location 2: Second Floor, Elante Mall, Chandigarh. Aromatherapy (90 minutes) = Rs. 4300. Deep Tissue Massage (90 Minutes) = Rs. 3850. Foot Reflexology (60 minutes) = Rs. 975. Head & Shoulder Massage (30 minutes) = Rs. 570. Swedish Massage (90 minutes) = Rs. 2900. Hotel Lalit Chandigarh, which is yet another 5 star hotel in Cahndigarh offeres spa packages for visitors and Chandigarh residents. Rejuve Spa – the official spa at Lalit Chandigarh serves customers from 7:00 AM to 9:00 PM. Rejuve offers a complete holistic spa experience which mainly consist of aroma, ayurvedic, herbal and natural therapies. They have categorized their services in 3 categories namely sensual, detox and rejuve experience. Location: The Lalit Chandigarh, Rajiv Gandhi IT Park, Chandigarh. Sensual = Kokum Butter & Honey Wrap, Aroma Massage & Rani Padmavati Facial = Rs. 6600. Rejuve = Frangipani Body Wrap, Balinese Massage and Tejasvi Facial = Rs. 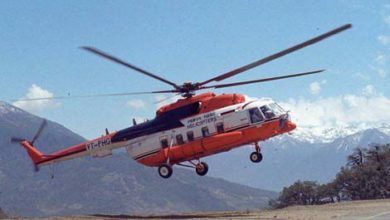 7700. Detox = Mineral mud body wrap, deep tissue massage & aroma facial = Rs. 6600. Blue Terra Spa is another good spa center with multi-city presence in cities like Mumbai. 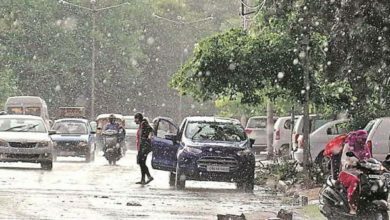 Delhi, Noida, Gurgaon etc. They have divided their services into 3 major categories namely – pain & stress management therapies, holistic therapies and ayurvedic therapies. Based in Sector 35 Chandigarh, Blue Terra Spa has 7 well designed rooms to serve people with a great experience. Location: SCO 479-480, 1st Floor, Sector 35-C, Chandigarh. Ayurvedic full body massage = Rs. 2200. (45 minute). Deep dry massage using herbal powders = Rs. 1800 (45 minutes). Head, Face, Neck & Shoulders (Using Thumb Points) = Rs. 900 (30 minutes). Full body reflexology = Rs. 1800 (45 minutes). Swedish body Massage = Rs. 2200 (60 minutes). 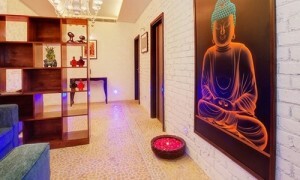 Deep tissue massage at Blue Terra Spa Chandigarh = Rs. 2550 (60 minutes). Traditional Thai Massage = Rs. 2200 (60 minutes). Blue Terra Royal Body Scrub & Spa = Rs. 6400 (165 minutes). Some facial options are also available at Sector 35 outlet of Blue Terra Spa Chandigarh which range between Rs. 1400 to 3200. Tuscany Spa which is present in Sector 35 Chandigarh is basically a Delhi based company which have over 10 branches in the NCR region. Tuscany spa also has a presence at Manali. Tuscany Chandigarh offers basic and traditional spa services to rejuvenating body treatments. Location: SCO 441-442, 1st Floor, Sector 35-C, Chd. Deep Tissue Massage = Rs. 2500 (60 minutes). Balinese Spa = Rs. 2500 (60 minutes). Tuscany Face Massage = Rs. 500 (15 minutes). Sports Massage = Rs. 2500 (60 minutes). Anti Stress Back Massage = Rs. 950 (45 minutes). Reflexology (30 minutes) = Rs. 900. Body scrub prices at Tuscany Spa in Chandigarh are Rs. 1800 for a 45 minute session. Day spa packages are also available. 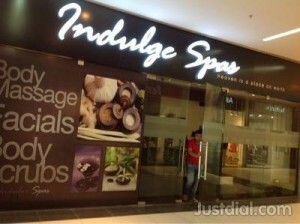 Induldge Spa in Chandigarh is again owned by a Delhi based company. It is located on the second floor of Elante Mall in Industrial Area of the city. They offer body massage services along with other spas. Some major ones include – Balinese Massage, Thai Aromatherapy Massage, Traditional Thai Massage, Swedish Massage etc. While we were not able to find the prices of each specific spa at Induldge Spa, Elante a rough idea about any of the above mentioned full body massage will cost you Rs. 3000. Chandigarh’s Seven Seas Spa is being owned by a salon – Tress Lounge. Based in Sector 8 Chandigarh, Seven Seas spa also has branches in many cities of India including Panchkula. They have got spa options ranging from Potli massage, Swedish massage, Aromatic holistic massage, aura body spa, chocolate body spa etc. 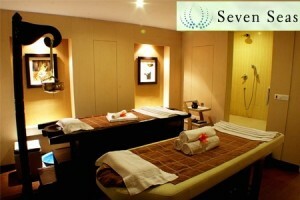 Other services include reflexology, papaya and coconut body scrub, seven seas signature therapy and more. Location: S.C.O. 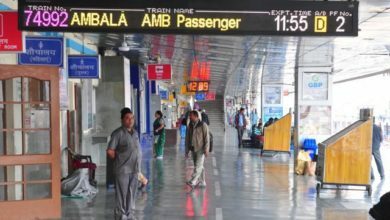 30-31, Madhya Marg, Sector 8-C, Chandigarh. The charges mentioned in the above list for each spa in Chandigarh may vary from the actual charges at the center due to updated prices or some ongoing deals and discount offers. We suggest you to confirm the exact charges while taking an appointment. You are free to choose any spa in Chandigarh, but make sure that you choose the best. When it comes to booking a spa in Chandigarh, reviews of people who have availed the services do matter a lot. If you think that we have missed out a good spa center in Chandigarh or you feel that you are not happy with a particular result in this list, feel free to mail the author at ajay@chandigarhmetro. 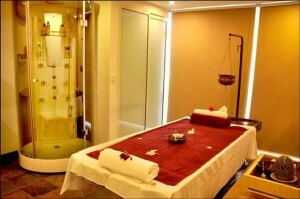 We’ll do all that is required at our end to make this list the best list for anyone who searches for spa in Chandigarh.